These are kind of like the Donruss Puzzle Pieces I remember in the 80’s and 90’s – Each card is a different piece of the player, and pieced together you’ll get the full image. 2012 Panini Triple Play Baseball is a card set designed for the younger collector. Each and every card in 2012 Triple Play is an artist rendering of the player. Panini commissioned several different artists to design the cards themselves. 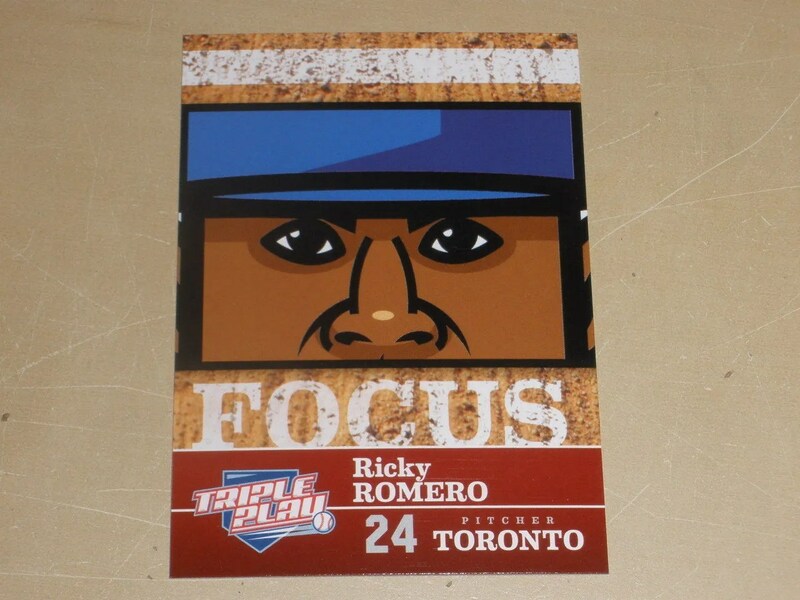 Included in the set will be stickers and peal-able eye black cards which should be fun for the kids. This is a low-end product that will have no autograph or game used memorabilia cards. Expect to see some of the very first Panini cards of Texas Rangers pitcher Yu Darvish. With a price point of just .99 cents per pack this could be a good box to pick up if you have a local shop because you should be able to sell them fairly quickly. Panini released sets dubbed Adrenalyn in their NFL, NBA and NHL line-up the last few years. Those were $0.99-$1.99 price point sets that young collectors typically enjoyed. Triple Play will try and pick up some of those young collectors and get them hooked on these cards. Check back to Sports Card Radio for further information and a complete checklist. During a conference call with the developers of this product, they mentioned specifically that this set might be perfect for getting in-person or TTM autographs of players. Each card will look a little different in this set because different artists are drawing the pictures for the set. In 2013 – look for Triple Play to be released closer to the start of the actual MLB Baseball season. Panini just obtained their MLBPA license in late 2011 and will look to change the release schedule for MLB products in 2013.